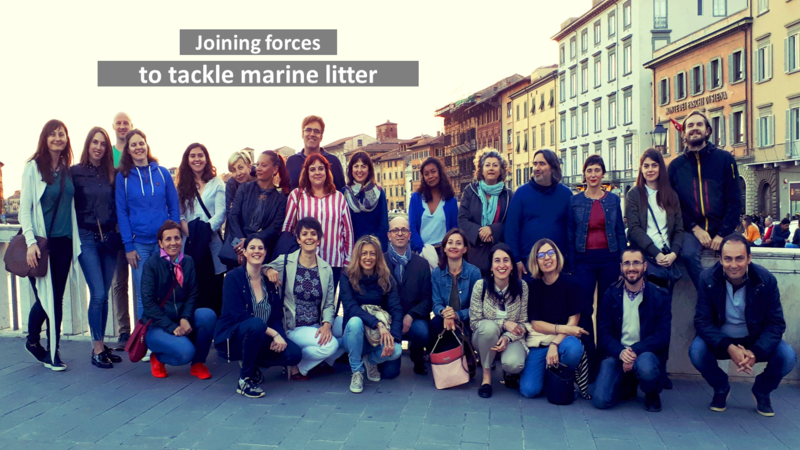 ACT4LITTER brought together MPA managers and marine litter experts at the second meeting of the project’s associated partners, held in Pisa on the 16th and 17th of May 2018. 26 participants from 21 organizations collectively reviewed the progress achieved by ACT4LITTER and advanced the quality of its outputs with their valuable feedback. During the two-day meeting the participants shared their experiences and lessons learned from the implementation of the initial phases of the ACT4LITTER pilot actions. They also got acquainted with the ACT4LITTER decision-making tool that has been developed with the aim to identify targeted measures to combat marine litter in Mediterranean MPAs. All participants highlighted the data gaps that exist on the marine litter threat in Mediterranean coastal and marine protected areas and expressed their immense appreciation for the opportunity offered by the ACT4LITTER Marine Litter Watch month in gathering essential marine litter data. In breakout and plenary sessions the participants constructively discussed and reviewed the decision-making tool in order to fine-tune it and optimize its applicability. MPA managers strongly welcomed the decision making tool and its crucial importance in defining and fast-tracking actions against marine litter in Mediterranean MPAs. These actions will be reflected in the marine litter actions plans that are currently being elaborated by nine pilot MPAs and will be showcased at the final ACT4LITTER conference to be held in October 2018.